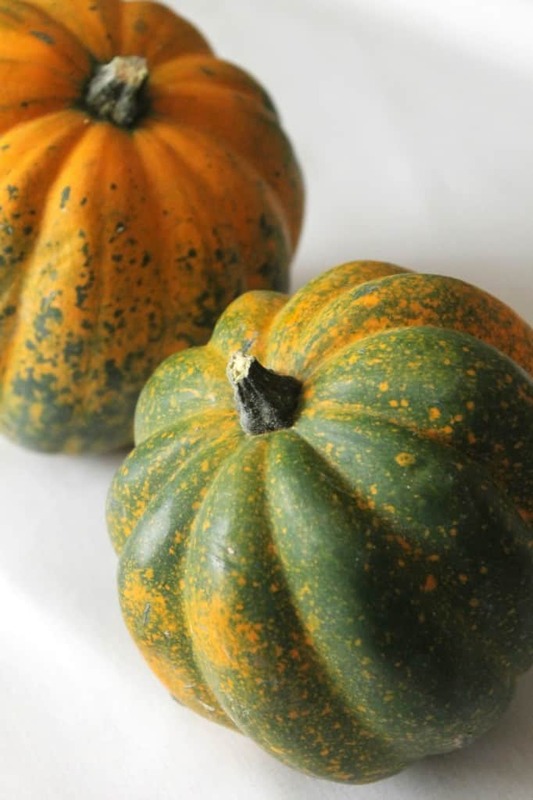 When I was making baked acorn squash the other night for dinner, I had so many seeds that I had scooped out of the squash that I didn’t want to throw away. So, I figured since they look exactly like pumpkin seeds, why not make roasted acorn squash seeds using the same method? 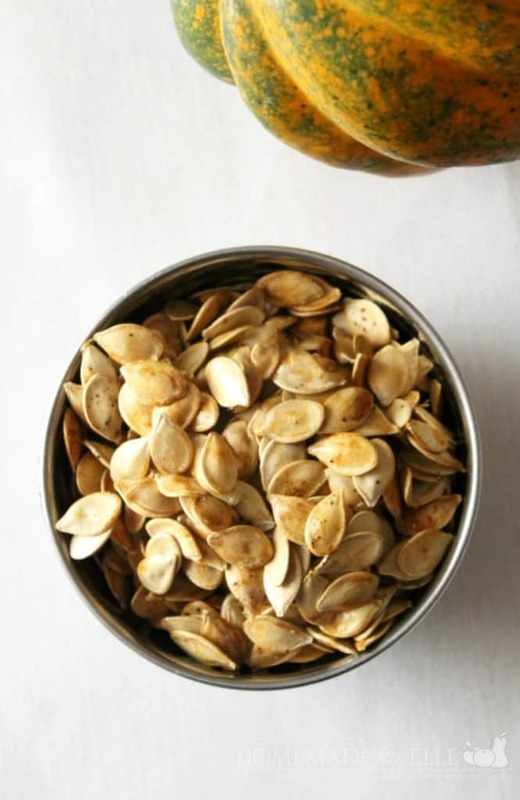 These roasted acorn squash seeds taste exactly like, if not better, than roasted pumpkin seeds. They’re a beautiful golden brown color, crispy, warm, and delightfully savory. I love that I can just pop them in the oven while I’m baking the acorn squash and get dual use of my oven at once. You don’t have to be an expert cook to whip out these babies! A simple, 5-minute preparation time is all you need before baking to golden brown perfection. My family loves roasted acorn squash seeds, so I try to make a triple batch every week so I don’t have to make them everyday. This recipe is one my family uses on a regular basis and will continue to use for quite a while. I was really excited that I got to use acorn squash from our garden in today’s recipe. It’s taken a lot of work, but it has really paid off because we’re able to use the food we produce in everyday dishes like this one. You can also add any spices you’d like to it, like chili powder, onion powder, or pepper. 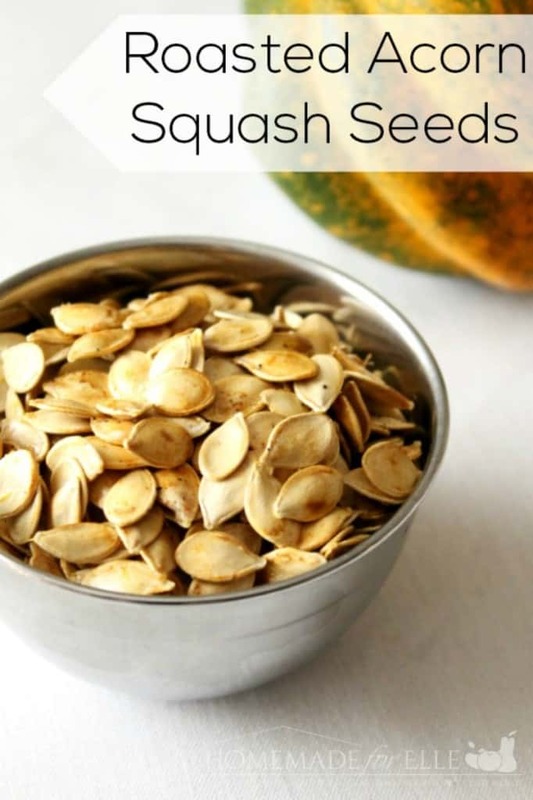 I know you’re going to love these easy roasted acorn squash seeds. They’re crispy, savory—it’s like heaven in our mouth. I kid you not. Enjoy! Preheat the oven to 300 degrees F. Line a baking sheet with foil or a silicone baking mat. In a colander, rinse the acorn squash seeds, making sure to remove any squash pulp along the way. Pat dry and place in a small bowl. Add the olive oil and salt (or other desired spices) and toss to coat evenly. Pour seeds onto prepared baking sheet and spread in an even layer. Place in the oven and bake for 10-15 minutes or until the seeds are a light golden brown color. Keep an eye on them, as they can go from being perfect to burnt very quickly. Let cool and serve. Store in an airtight container at room temperature for 2 to 3 days.